Bubinga is a beautiful, dense hardwood with a lustrous appearance. Its heartwood has a rose-colored background with darker purple or black striping. Bubinga’s sapwood is a pale yellow color that is distinctly separate from the heartwood. This wood is usually very uniform in graining and color, and the texture is fine and even. Grain is usually interlocked and pores are small. Bubinga comes in a variation of figure, including: pommele, flamed, waterfall, quilted, and mottled. When quarter-sawn, the figure of Bubinga shows considerable “flame,” while it exhibits attractive rosewood graining when flat-sawn. 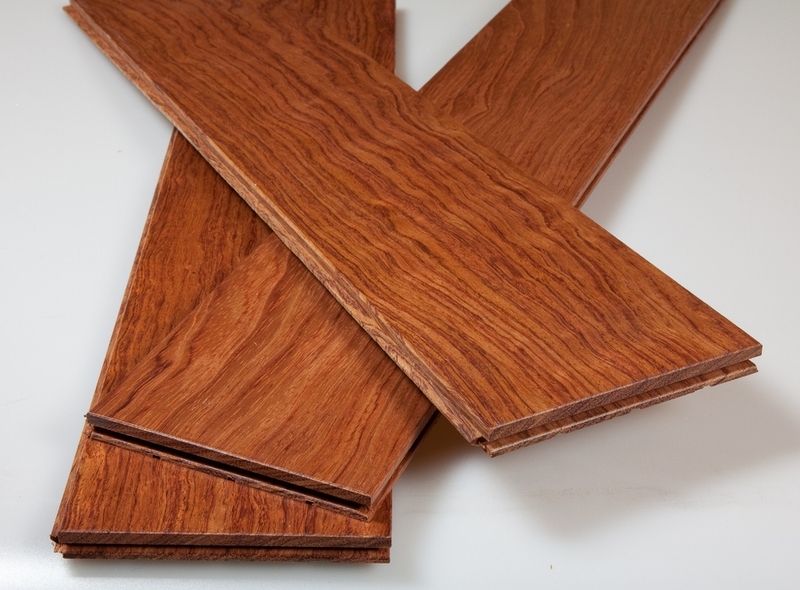 When fully aged, Bubinga has a rich burgundy red color. 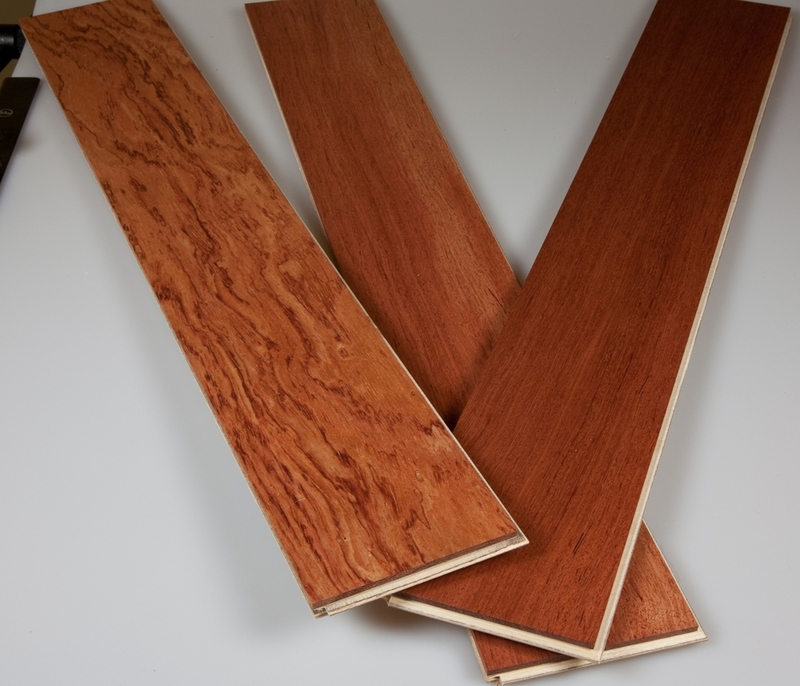 Bubinga ranges from fairly durable to very durable according to the species. It is also resistant to termite and marine borer attack. 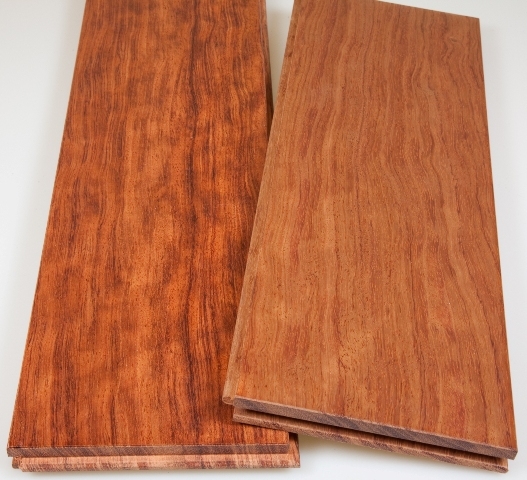 While Bubinga looks very much like rosewood, and is often used as a substitute for more expensive woods, it also has unique characteristics such as its beautiful grain figures, for example, flamed, pommele, and waterfall. Bubinga also has a notable strength-to-weight ratio. General Characteristics = Heartwood pink, vivid red, or red brown with purple streaks or veins, on exposure becomes yellow or medium brown with a reddish tint, veining becomes less conspicuous; sapwood whitish and clearly demarcated. Texture fine and even; grain straight or interlocked; lustrous; sometimes highly figured; has an unpleasant odor when first cut which disappears on drying.